just me and my mary janes: Christmas Tags! I have a couple of fun and easy holiday creations to share with you! And honestly, since I made them-I am really excited and motivated to create even more holiday projects in the coming weeks. 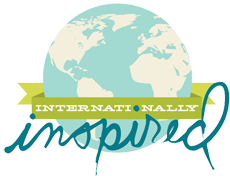 With the cool weather and some flurries of snow drifting around, I am almost tempted to play a little holiday music as I create too...key word being almost...not quite there yet-LOL! 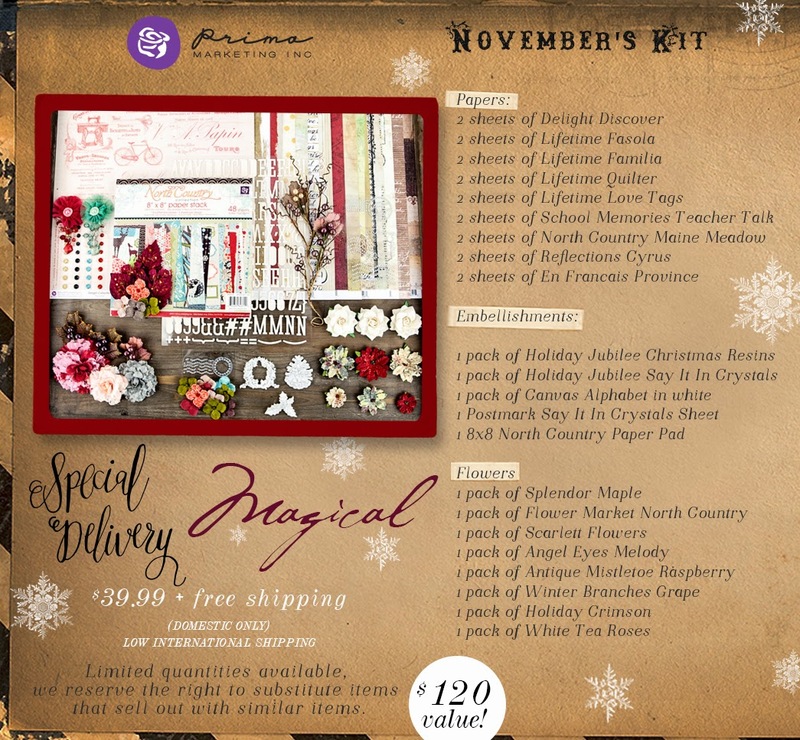 So I was asked to design with the November Special Delivery kit from Prima. The kit not only has the traditional color scheme, but also warm tones of cream, tan and slight hues of pink too. I like to gravitate toward unusual color schemes for the holidays to keep the projects fresh and eye catching. Sometimes it's makes creating more of challenge to make something look holiday-ish, with minimum holiday embellies...hope that makes sense. I think these days, almost anything goes. -First, I cut out the deer from a paper in the 8x8 North Country paper pad. One way to get more bang for your "buck", trace the deer after you cut them out, so you can make as many as you like. 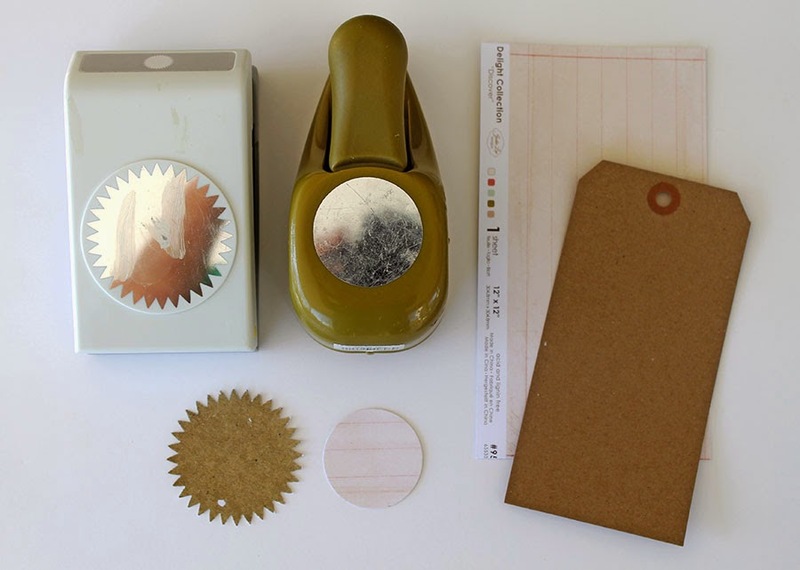 -I also punched out some snowflakes using my Martha Stewart snowflake punch. -The Soft Matte Gel was applied with a paint brush, in a nice even coat. 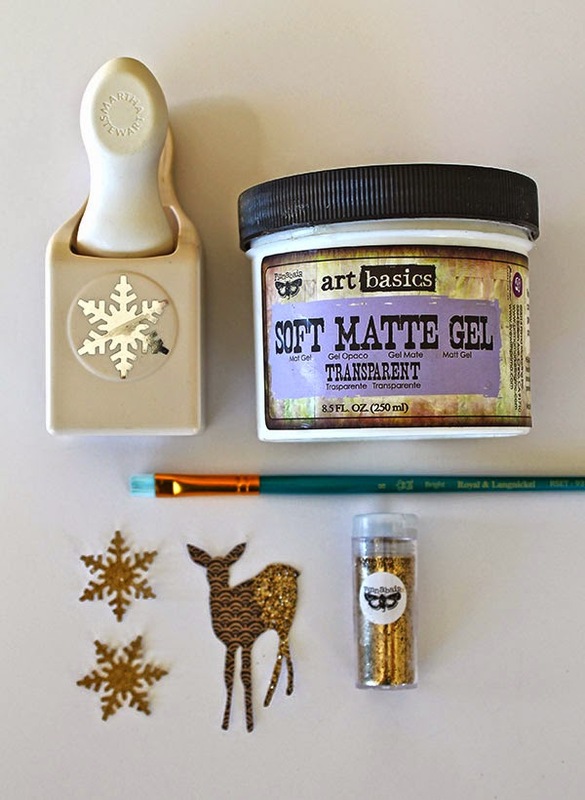 -I then sprinkled the deer and snowflakes with Art Ingredients Glitter. 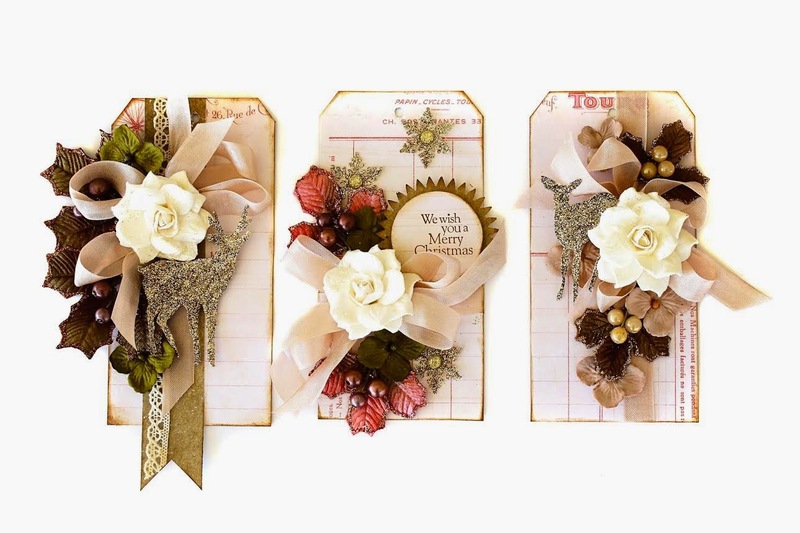 -All three tags were covered using the Delight-Discover paper in the kit. -I used the Soft Matte Gel to adhere the paper to the tags. -And all three were inked at the edges using Vintage Photo Distress ink. 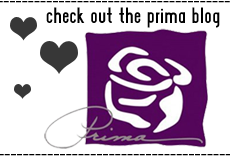 -I added a simple 1 inch strip of paper to the tag with a little piece of ribbon. -I created a double bow using Rose Beige Snug Hug seam binding. -Finish off with a couple of green flowers and adhere your glittered stag with foam dots.-Easy peasy! -I used two of my favorite punches and layered them together. You can choose any size circles depending on the sentiment you would like to add. -I layered them with foam tape, after sentiment was stamped, using Vintage Photo Distress ink. -Wrap the Rose Beige seam binding around the tag and created a double bow. 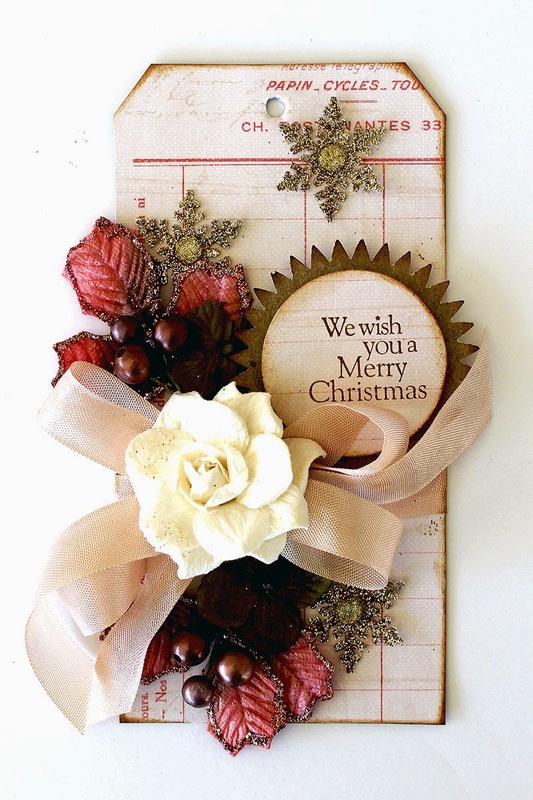 -Add white flower and pink mistletoe picks around bow. Then tuck in a couple of dark brown flowers too. -Place your circle and glittered snowflakes to finish it off. -This third tag has the glittered doe-she looks so cute peeking out from behind the flowers. Add her using foam dots. -Wrap the seam binding vertically and create yet another, double bow. Sorry-i like them. 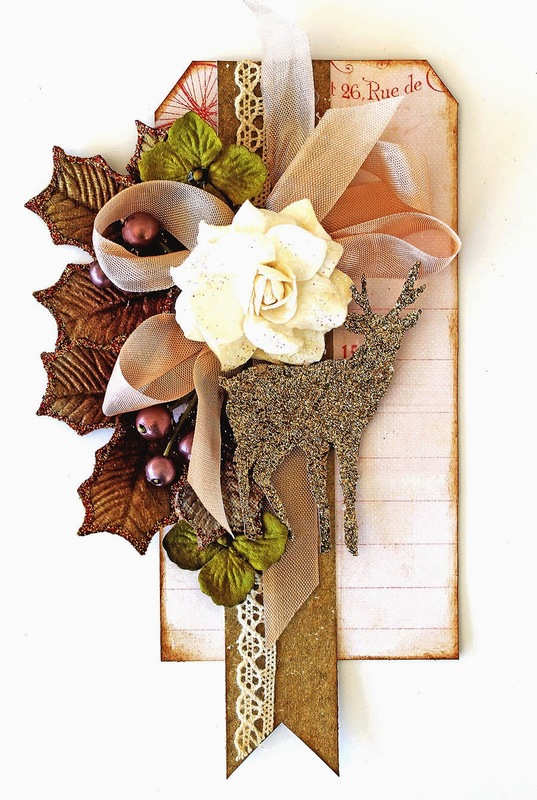 -Add white flower over bow and tuck in two light brown mistletoe picks. 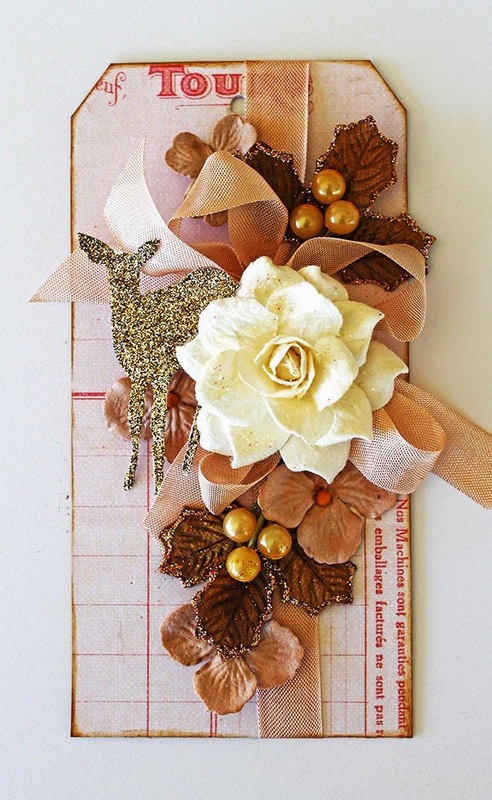 -Finish off with 3 tan flowers and the sweet doe. So that's it for today! I can not wait to add these tags to gift bags for the holidays. And I certainly hope I have time to make a lot more (wishful thinking)! And please forgive my images if they appear a little strange. 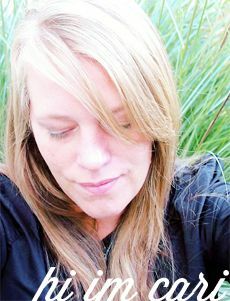 I upgraded my Photoshop program and I am learning to tweak my photos in the new program. Love these tags, Cari! Beautiful! So pretty! I love every tag! Hey, that looks so beautiful !! !